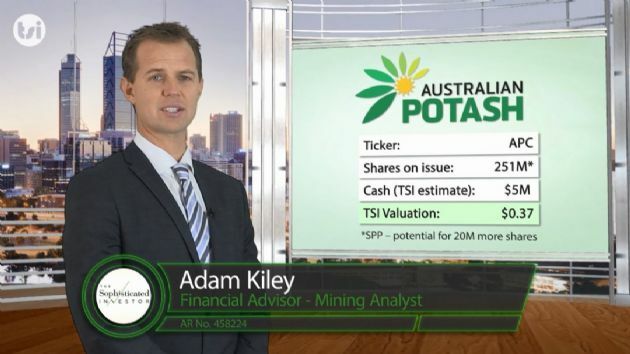 Australian Potash Limited (ASX:APC) is an ASX-listed Sulphate of Potash (SOP) developer. The Company holds a 100% interest in the Lake Wells Potash Project located approximately 500kms northeast of Kalgoorlie, in Western Australia's Eastern Goldfields. The Lake Wells Potash Project is a palaeochannel brine hosted sulphate of potash project. Palaeochannel bore fields supply large volumes of brine to many existing mining operations throughout Western Australia, and this technique is a well understood and proven method for extracting brine. APC will use this technically low-risk and commonly used brine extraction model to further develop a bore-field into the palaeochannel hosting the Lake Wells SOP resource. A Scoping Study on the Lake Wells Potash Project was completed and released on 23 March 2017. The Scoping Study exceeded expectations and confirmed that the Project's economic and technical aspects are all exceptionally strong, and highlights APC's potential to become a significant long-life, low capital and high margin sulphate of potash (SOP) producer. 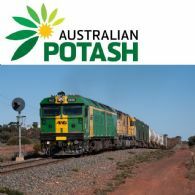 Australian Potash Ltd (ASX:APC) announces the Company kicks off Western Australian SOP trial. Your directors are pleased to present their report on the consolidated entity consisting of Australian Potash Limited (ASX:APC) and the entities it controlled at the end of, or during, the half-year ended 31 December 2018. 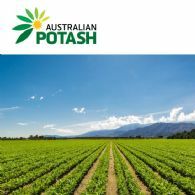 Australian Potash Limited (ASX:APC) advises that the pro-rata renounceable rights issue made to shareholders of the Company, named on its register of members as at 5:00pm WST on 19 February 2019, under the Entitlement Issue Prospectus dated 13 February 2019 closed on 8 March 2019. 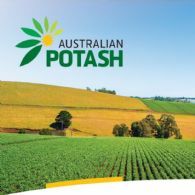 Australian Potash Limited (ASX:APC) advises that it has extended the Closing Date for the current renounceable rights issue. 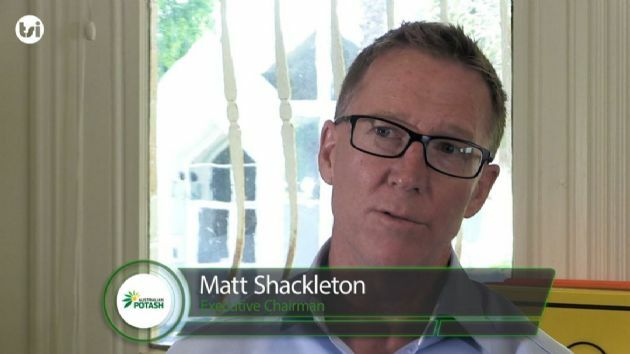 Australian Potash Limited (ASX:APC) is pleased to advise that Managing Director & CEO Matt Shackleton has provided a management update video, which can be found on the Company&apos;s website at Management Update. Australian Potash Limited (ASX:APC) is pleased to advise the commencement of the final field programs of work in the Definitive Feasibility Study of the Lake Wells Sulphate of Potash Project. 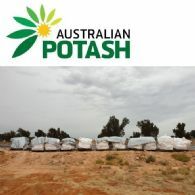 Australian Potash Limited (ASX:APC) advises that the Entitlement Issue Prospectus in respect of the Company&apos;s renounceable pro-rata rights issue, as released to ASX on 13 February 2019, and an Entitlement and Acceptance Form have been dispatched to shareholders with a registered address in Australia, New Zealand, Singapore or Hong Kong who were recorded as holding APC shares. Australian Potash Ltd (ASX:APC) provides the Company&apos;s latest presentation at RIU Explorers Conference. As announced on 11 February 2019, Australian Potash Ltd (ASX:APC) is undertaking a 14 for 3 pro-rata renounceable rights issue of approximately 65,372,802 fully paid ordinary shares to raise approximately $5,229,824. 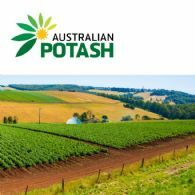 Australian Potash Limited (ASX:APC) is pleased to announce that the Company has agreed to undertake a renounceable rights issue (Rights Issue) to raise up to approximately $5,229,824 before costs. Australian Potash Limited (ASX:APC) is pleased to provide shareholders with its Quarterly Activities Report for the period ended 31 December 2018. 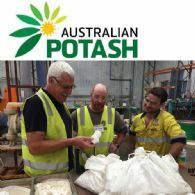 Australian Potash Limited (ASX:APC) is pleased to announce that it has produced Australia&apos;s first field evaporated Sulphate of Potash at its pilot processing facility in Canning Vale. 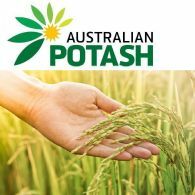 Australian Potash Limited (ASX:APC) (APC or the Company) is pleased to announce that its pilot processing facility in Canning Vale has recieved 3 tonnes of the final potassium rich harvest salts from the Lake Wells pilot evaporation program. Australian Potash Ltd (ASX:APC) provides the Company&apos;s Annual General Meeting Presentation. 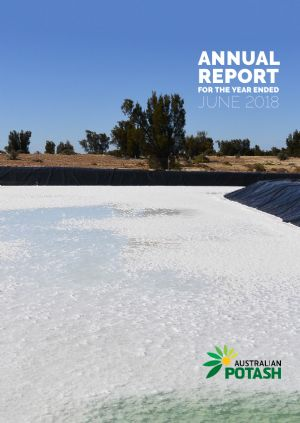 Australian Potash Limited (ASX:APC) is pleased to advise the successful completion of the final transfer of brine into Harvest Pond 3 at the Lake Wells Sulphate of Potash project&apos;s pilot evaporation pond network. Australian Potash Limited (ASX:APC) is pleased to provide shareholders with its Quarterly Activities Report for the period ended 30 September 2018. 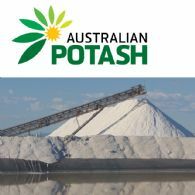 Australian Potash Limited (ASX:APC) is an ASX-listed Sulphate of Potash explorer and developer. APC holds a 100% interest in the Lake Wells Potash Project located approximately 500km northeast of Kalgoorlie, in Western Australia&apos;s Eastern Goldfields. 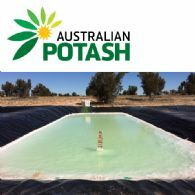 Australian Potash Limited (ASX:APC) is pleased to advise the second successful transfer of approximately 70 tonnes of potassium saturated brine from the first harvest pond into the second harvest pond at the Lake Wells Sulphate of Potash project pilot evaporation pond network. Australian Potash Limited (ASX:APC) is pleased to advise that it has entered into an Earn-In & Joint Venture Agreement with Australian mid-tier gold producer, St Barbara Limited at the Lake Wells Gold Project. Australian Potash Limited (ASX:APC) is pleased to advise the Shire of Laverton has received committed funding to bitumen-seal an additional 100kms of the Great Central Road to the east of Laverton, commencing in January 2019. Australian Potash Limited (ASX:APC) and Salt Lake Potash Limited (ASX:SO4) (LON:SO4) are pleased to advise that the Companies have entered into a Memorandum of Understanding and Co-operation Agreement to undertake a joint study of the potential benefits of development cost sharing for each Company&apos;s project developments at Lake Wells. Australian Potash Limited (ASX:APC) is pleased to advise that Mining Leases have been granted at the Lake Wells Sulphate of Potash project. The Mining Leases cover an area in excess of 30,000 hectares of the Lake Wells playa and underlying palaeochannel system. 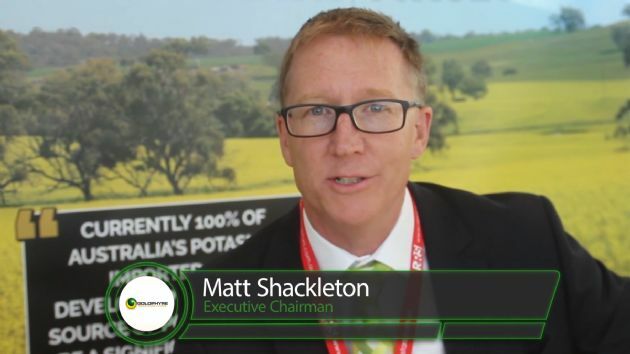 Australian Potash Limited (ASX:APC) is pleased to advise that a new management update has been provided by the Company&apos;s Managing Director and CEO, Matt Shackleton. 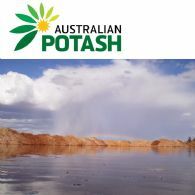 Australian Potash Limited (ASX:APC) is pleased to advise the successful transfer of brine from the pre-concentration pond into the first harvest pond at the Lake Wells Sulphate of Potash project pilot evaporation pond network. Australian Potash Limited (ASX:APC) is pleased to advise the appointment of experienced mining industry executive and director Mr James (Jim) Walker to the role of Non-Executive Chairman of the Company. 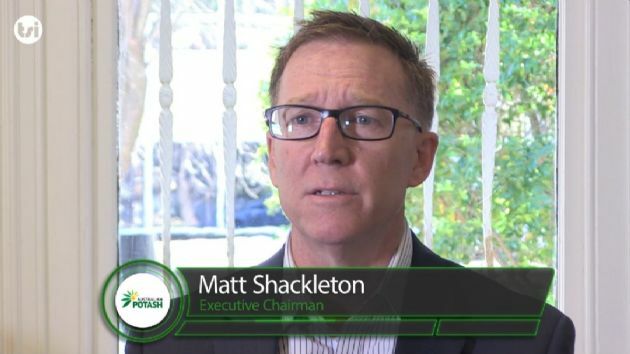 Mr Matt Shackleton, formerly Executive Chairman, has been appointed Managing Director and Chief Executive Officer. 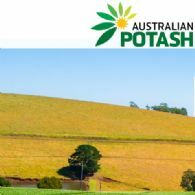 Australian Potash Ltd (ASX:APC) provides the Company&apos;s latest Investor Presentation. Australian Potash Limited (ASX:APC) is pleased to provide shareholders with its Quarterly Activities Report for the period ended 30 June 2018. Australian Potash Limited (ASX:APC) is pleased to provide an update on the recently completed Air-Core drilling campaign at the Yamarna Gold Project. 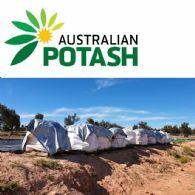 Australian Potash Limited (ASX:APC) is pleased to provide an update on the approvals process being followed under the Definitive Feasibility Study into the development of the Lake Wells Sulphate of Potash Project, 160kms north-east of Laverton in Western Australia&apos;s Eastern Goldfields. 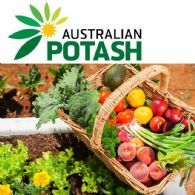 Australian Potash (ASX:APC) is developing the Lake Wells SOP Potash Project in Western Australia. The company recently raised $3m as they advance the project towards a Definitive Feasibility Study later this year. In addition, drilling is underway at their Yamarna gold project in Western Australia, which is to the north of Gold Road (ASX:GOR) and Gold Fields 5.8Moz Au Yamarna gold project. Australian Potash (ASX:APC) will commence drilling at its Yamara gold project shortly. The project lies 130 km northeast of Laverton, in Western Australia&apos;s eastern goldfields region. APC&apos;s tenements cover around 1,400 km2 contiguous to the North Yamarna gold project of Gold Road Resources Ltd and 60 km northwest of the 6 million ounce (Moz) Gruyere mine development. 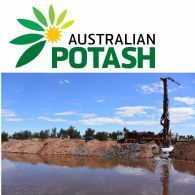 Australian Potash (ASX:APC) is developing the Lake Wells Sulphate of Potash (SOP) Project in the North-Eastern Goldfields of Western Australia. The project is on track to potentially become the first producing Potash Project in Australia. Goldphyre Resources Limited (ASX:GPH) is pleased to announce that it has entered into an underwriting agreement to fully underwrite the Company&apos;s listed option series (ASX:GPHO) up to a value of A$5.5 million. Goldphyre Resources (ASX:GPH) is pleased to advise the appointment of Ms. Leigh-Ayn Absolom as Company Secretary. Leigh-Ayn is a Chartered Accountant and Chartered Secretary with 16 years&apos; experience in auditing, accounting and company secretarial roles within public practice and the resources industry. Goldphyre Resources Limited (ASX:GPH) are pleased to provide the Company&apos;s latest Investor Presentation for the Lake Wells Potash Project at the 2016 Diggers and Dealers. Goldphyre Resources (ASX:GPH) is pleased to report another very successful quarter, with several targets achieved. The Company is very focused on capturing the opportunity that currently exists in the Australian potash space, by being the first to develop its brine SOP project. Goldphyre Resources Ltd (ASX:GPH) is pleased to announce the test production bore installation program at its rapidly emerging Lake Wells Potash Project is due to commence early August 2016. Goldphyre Resources (ASX:GPH) is pleased to advise that leading Australian broking and corporate advisory firm, Hartleys Limited, has updated its previous research report on the Company. Goldphyre Resources Ltd (ASX:GPH) are pleased to provide the Company&apos;s latest Investor Presentation titled, "Australian Potash for Australian Farmers". 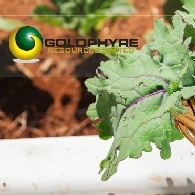 Goldphyre Resources (ASX:GPH) is pleased to advise that it is firmly on track to become a long-term potash supplier to the Australian agricultural industry following the calculation of a strong Maiden Resource for its 100% owned/controlled Lake Wells Potash Project. Goldphyre Resources Limited (ASX:GPH) is pleased to advise that the Sophisticated Investor conducted an interview with Executive Chairman, Matt Shackleton at the Resources Rising Stars conference on the Gold Coast. 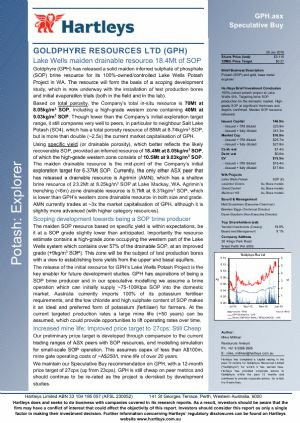 Goldphyre Resources (ASX:GPH) is pleased to announce strong final assays from the key basal and upper sands at its Lake Wells Potash Project, 500km north-east of Kalgoorlie. Goldphyre Resources Ltd (ASX:GPH) are pleased to provide the Company&apos;s latest Investor Presentation, May 2016. Goldphyre Resources (ASX:GPH) is pleased to announce high grade first assays from the key basal and upper sands at its Lake Wells Potash Project, 500km north-east of Kalgoorlie. The assays stem from three mud-rotary/diamond holes and three aircore holes. A further seven aircore holes have been drilled with assays expected over coming weeks. Goldphyre Resources Ltd (ASX:GPH) are pleased to provide the Company&apos;s Quarterly Activities Report. Due to a highly successful quarter the maiden exploration target released by Goldphyre is in line with the Company&apos;s plan to produce 75,000 - 100,000tpa of sulphate of potash. Goldphyre Resources Ltd (ASX:GPH) Executive Chairman Matt Shackleton is interviewed by ABN Newswire about the recent drilling results at the Lake Wells Potash project in Western Australia. Goldphyre Resources Limited (ASX:GPH) is pleased to advise that it has made a strong start to the Resource drilling program at its Lake Wells Potash Project in WA, with wide intersections of the key basal sands in each of four holes completed to depth. 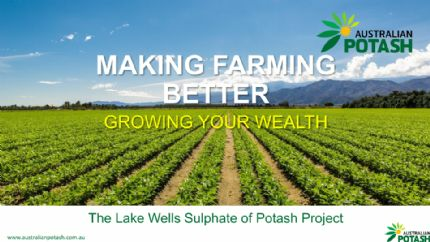 Goldphyre Resources Ltd (ASX:GPH) are pleased to provide the Company&apos;s investor roadshow presentation titled, "The Lake Wells Potash Project - Australian Potash for Australian Farmers." Goldphyre Resources Limited (ASX:GPH) advises that it has received commitments from professional and sophisticated investors to raise up to $1.1 million through the issue of up to 17.2 million shares at 6.4 cents each. Hartleys Limited is Broker to the Offer. Goldphyre Resources (ASX:GPH) Executive Chairman, Matt Shackleton is interviewed by ABN Newswire on the Lake Wells Potash project in Western Australia. Goldphyre Resources Limited (ASX:GPH) is pleased to advise that its strategy to be a 75,000 - 100,000 tonne-a-year sulphate of potash producer is on track following the calculation of a substantial Exploration Target at its Lake Wells Potash Project in WA. During the half year ending 31 December 2015, Goldphyre Resources Ltd (ASX:GPH) explored its 100% owned Lake Wells Potash Project. 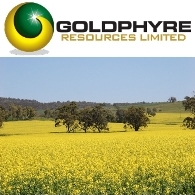 Goldphyre Resources Limited (ASX:GPH) ("Goldphyre", the "Company") is pleased to advise that a seismic survey at its Lake Wells Potash Project in WA has increased the known length of the palaeovalley that hosts the potash mineralisation to more than 20 kilometres. 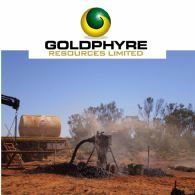 Goldphyre Resources Ltd (ASX:GPH) announce the Quarterly Activities Report for the period ending December 31, 2015. Goldphyre Resources Limited (ASX:GPH) is pleased to advise that leading Australian broking and corporate advisory firm, Hartleys Limited, has initiated research coverage on the Company. 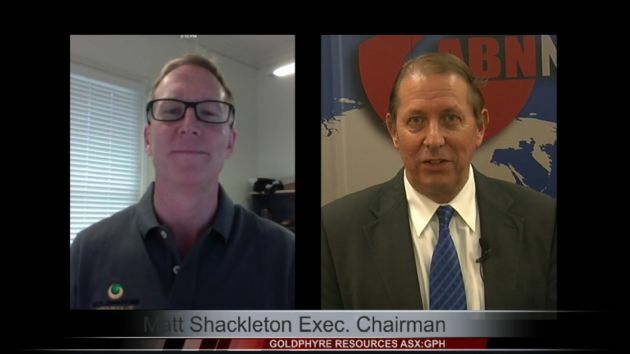 Goldphyre Resources Limited (ASX:GPH) is pleased to advise that Executive Chairman Matt Shackleton has been interviewed by BRR Media. Goldphyre Resources Limited (ASX:GPH) is pleased to advise that a recently completed seismic survey has provided more strong evidence that its Lake Wells Potash Project in WA&apos;s eastern goldfields has the potential to host a substantial potash resource. Goldphyre Resources Limited (ASX:GPH) is pleased to announce that it has completed the Sale and Split Commodity Agreement ("Agreement") with Lake Wells Exploration Pty Ltd, a company controlled by prospector Mark Creasy&apos;s investment vehicle Yandal Investments Pty Ltd.
Goldphyre Resources Limited (ASX:GPH) is pleased to advise that it has been awarded a $108,000 grant by the WA Government to co-fund exploration drilling at the Company&apos;s Lake Wells Potash Project, 500km north-east of Kalgoorlie. 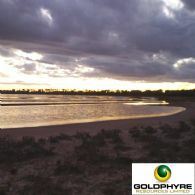 Goldphyre Resources Limited (ASX:GPH) is pleased to announce that it has tripled the size of its 100%-owned Lake Wells Potash Project in WA through a ground acquisition deal that will see an entity controlled by successful WA prospector Mark Creasy emerge as the company&apos;s biggest shareholder. The financial year ending 30 June 2015 marked a seminal period for Goldphyre Resources Limited (ASX:GPH), with a new exploration focus and significant board and management changes. 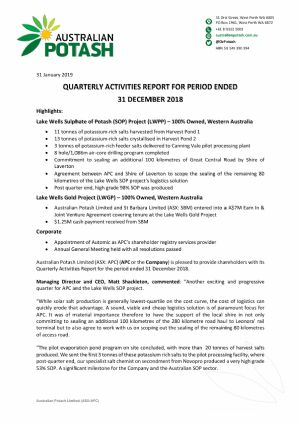 Goldphyre Resources Limited (ASX:GPH) announce the Quarterly Activities Report and Lake Wells Potash Project with significant highlights. Potash explorer Goldphyre Resources Ltd (ASX:GPH) is pleased to advise results from the recently completed drilling program at its 100% owned Lake Wells Potash Project.